Holy Crap – That is a Chicken? 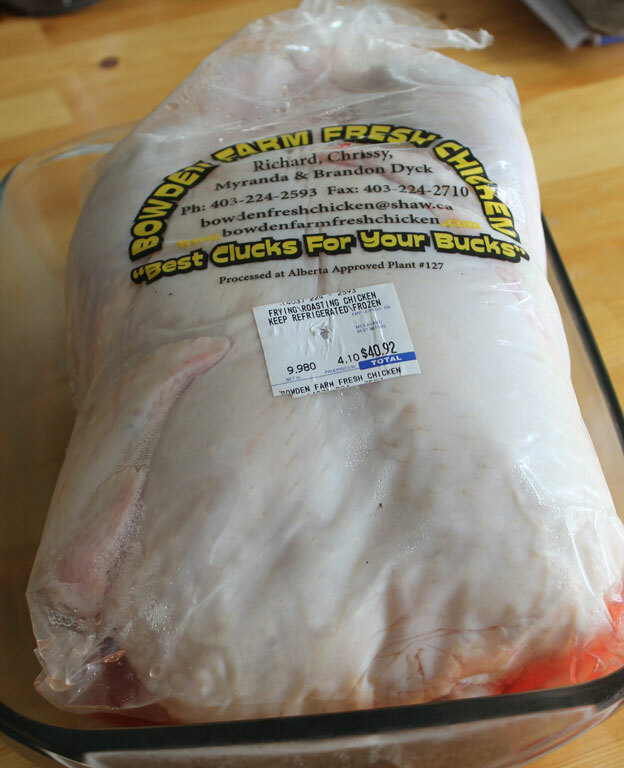 I don’t normally make 3 posts in one day… but I just HAD to do an extra one when I hauled the chicken Hubby had bought at the Calgary Farmers Market out of the fridge. This particular bird came from Bowden Farms, and is free-range. It is some of the best chicken we have ever tasted. One thing I love is their slogan – “Best Clucks for your Bucks”. and it certainly is true… you won’t find a better chicken for your money. 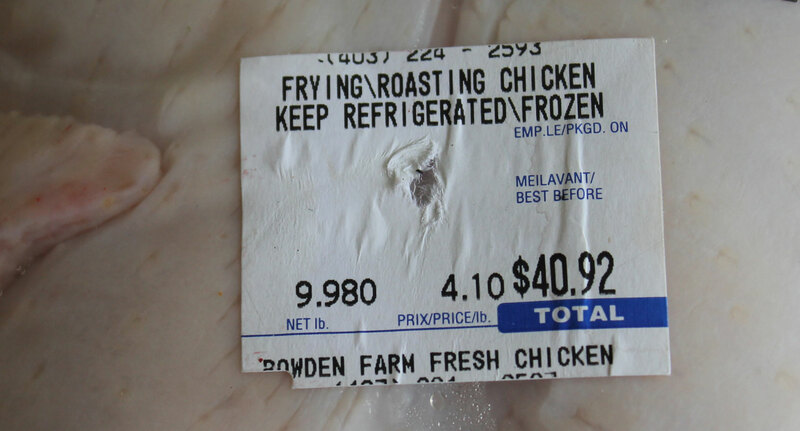 This particular bird was not cheep, it cost us $40.92. But I know it will be worth it. 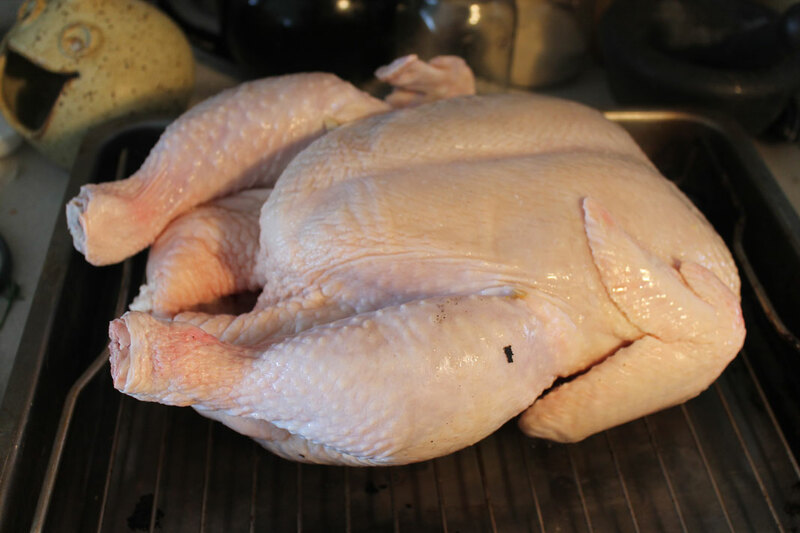 Anyhow, I hauled this chicken out of the fridge, and immediately thought “HOLY CRAP, this is one HUGE chicken!”. At almost 10lb, it weighs more than the turkey we ate at Christmas! Now I know why it was so expensive. There is a lot of bird there for our money…. Rather than cooking it on the BBQ as I had originally planned, I decided to go the oven roasted route – I was worried it would burn before it was properly cooked if I used the BBQ. First up, I put it on a rack in the largest roasting pan I have. Isn’t this a monster bird? 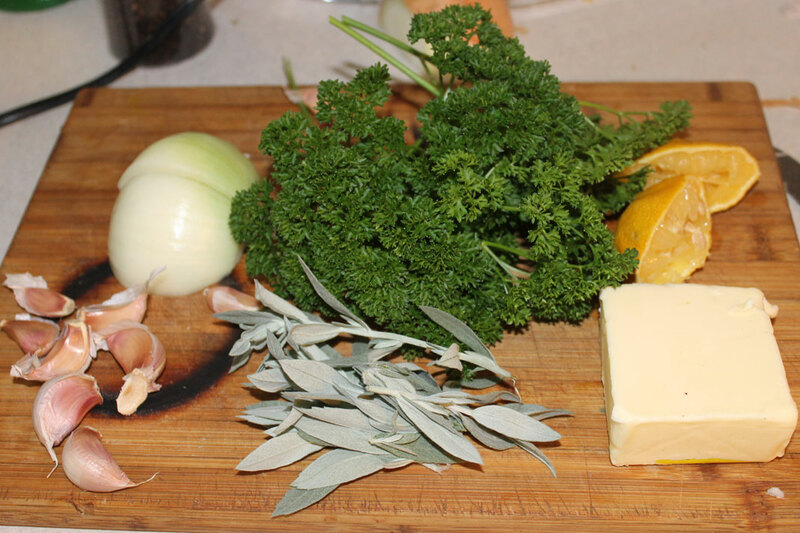 I gathered my aromatics – lemon, onion, parsley, sage, garlic. I also had salt, pepper and bayleaves (not shown in the picture below). The lemons had already been squeezed over the skin and the butter is destined to become garlic butter. I seasoned the inside of the cavity well with salt and pepper, squeezed the lemon over the skin then I shoved half an onion, the squeezed out lemon, a big bunch of parsley and thyme and 4 or 5 garlic cloves inside the cavity along with a couple of bay leaves. 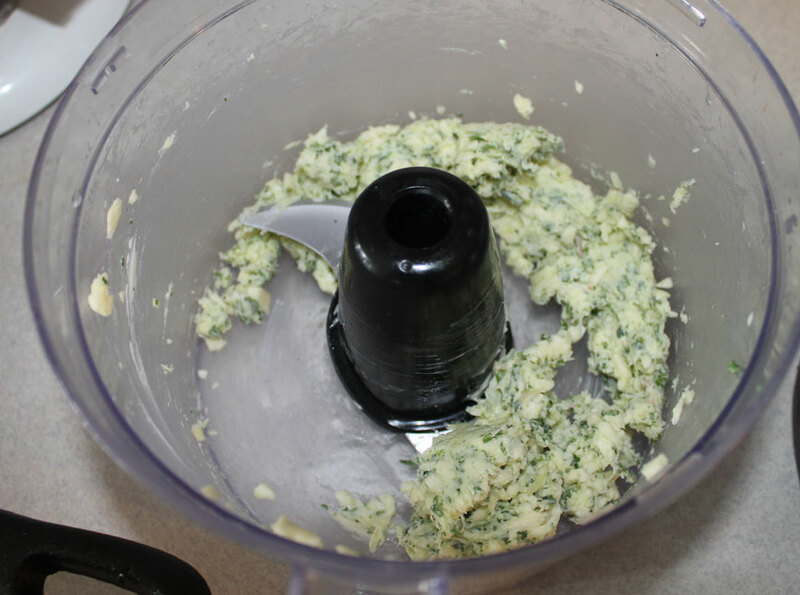 Then I put the butter and the remaining cloves of garlic from the bulb in the food processor along with some parsley and blitzed it to make garlic/parsley butter. I took my chicken and inserted my fingers between the skin and the breast to make a pocket. And I shoved all the garlic butter inside that pocket, smoothing and massaging it to spread it evenly over both breasts. This will help to keep the meat moist, and will provide a lot of flavour. Finally I seasoned the skin with salt and pepper and covered it with an insane amount of pastured bacon that we get from Spragg Meat Shop. 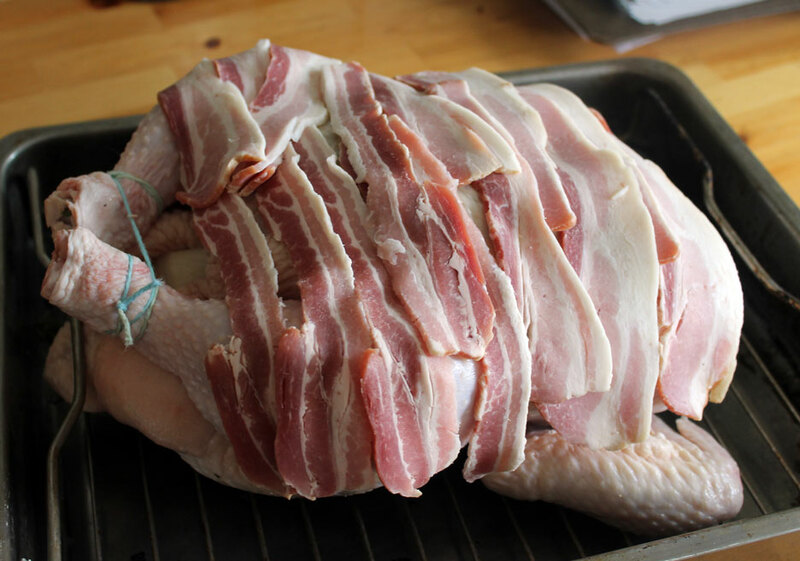 The purpose of the bacon is to protect the meat on the breasts from becoming dried out, and it will be removed half way through the cooking time so that the skin can brown. I will save the bacon ad serve it along side the chicken meat. I added a little chicken bone broth to the base of the tray – it helps to keep the meat moist during the long cooking and stops the juices that run out from burning, and I slipped it in to a preheated oven (18C/350F) to cook. And that is where it is now…. At 20 minutes cooking time per lb plus an extra 15 minutes, I calculate that this monster will take almost 4 hours…. I guess we will be eating late! 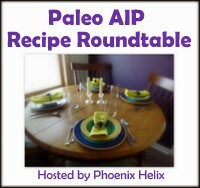 This entry was posted in Recipes and tagged calgary farmers market, chicken, huge, paleo, primal, roast. Bookmark the permalink.